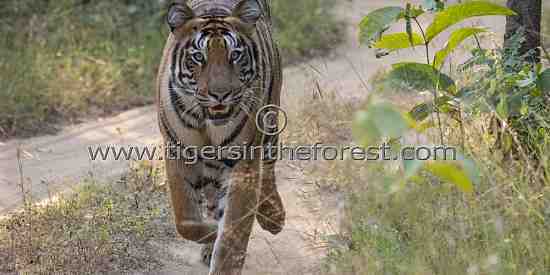 Tigress Choti Madhu giving chase to my jeep. 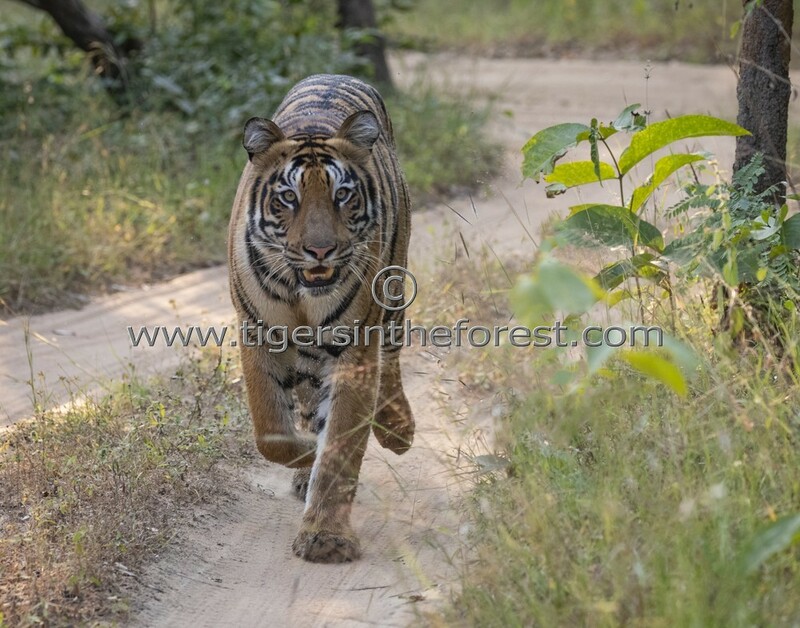 In early November 2018 while searching for wildlife at Tadoba tiger reserve I came across a young tigress known as Choti Madu. She followed my jeep along a track through the forest before deciding to give chase which was quite a thrilling and unusual experience.